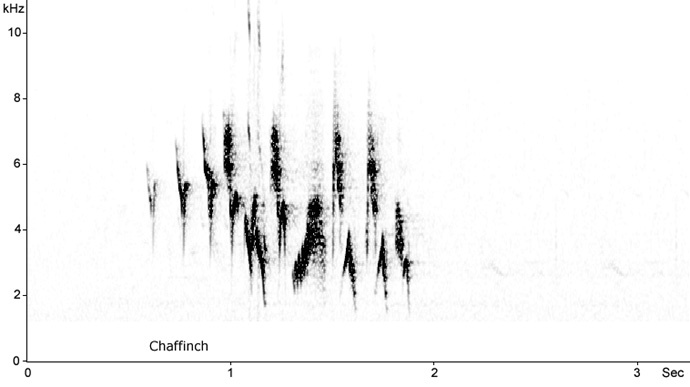 In early June 2009 I made a sound recording of a Whinchat in Glen Brerachan in Perthshire, Scotland. It was early morning (0540h), misty and a light drizzle was threatening to become heavier. Within a ten minute period this male surprised me with its vocal mimicry as it sang from a silver birch slope overlooking a juncus rush marsh. I recognised at least 15 avian species plus the sound of a distant lamb (of which there were several grazing nearby) and quite probably a frog (also abundant in the area). 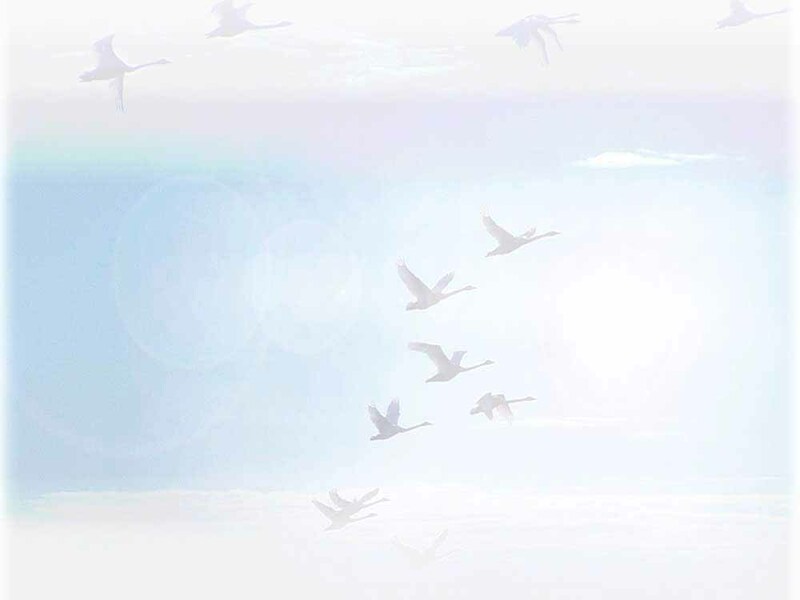 Several other phrases may have been from unknown species picked up in the wintering quarters in Africa. The Corn Bunting/Corncrake combination suggests that this bird may have been reared, or spent a previous breeding season, in either the Inner Hebrides or even Eastern Europe (if Thrush Nightingale is indeed what is replicated below). However, Scottish-ringed birds have been recovered on migration in Morocco, Iberia and France (BTO/The Birds of Scotland, 2007) and first-year birds may learn from other species in these areas. The rain put paid to further recording and I did not manage to find time to revisit the area later in the week. Hopefully I will be able to relocate this male on territory in 2010 for further sound samples. 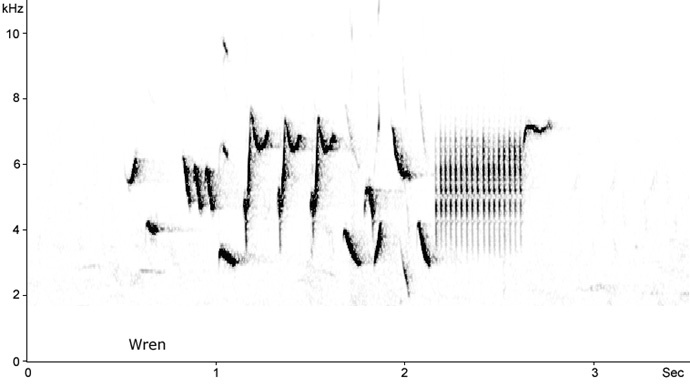 The following sonograms are from a single male Whinchat mimicking at least 15 avian species (plus lamb & frog!) in a 10 minute period. Singing male incorporating thrush (Turdus viscivoros/T. 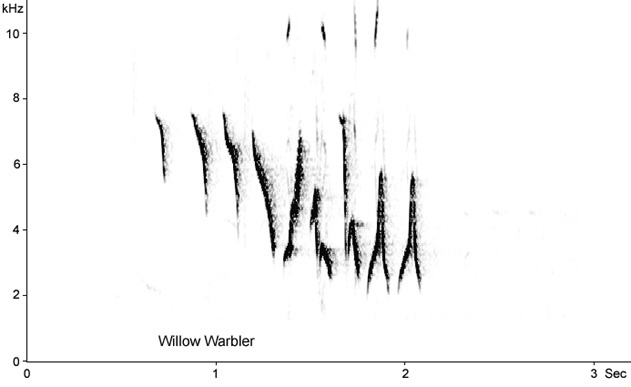 merula) mimicry; single strophe consisting of Mistle Thrush alarm rattle followed by three phrases of Blackbird song. 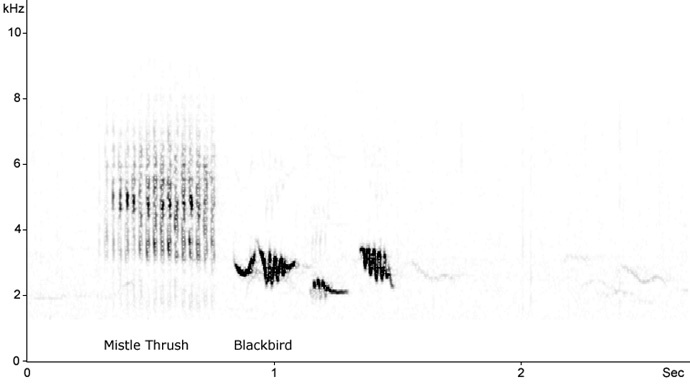 Singing male incorporating finch mimicry; a single strophe consisting of rearranged Chaffinch (Fringilla coelebs) song (trill-flourish-trill). 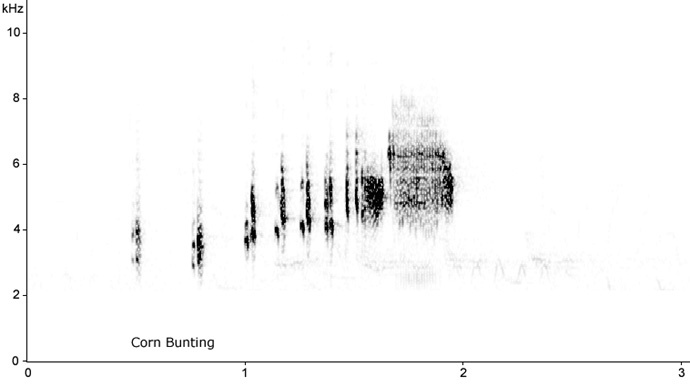 Singing male incorporating bunting mimicry; a single strophe consisting of a very close representation of Corn Bunting (Miliaria calandra) song. 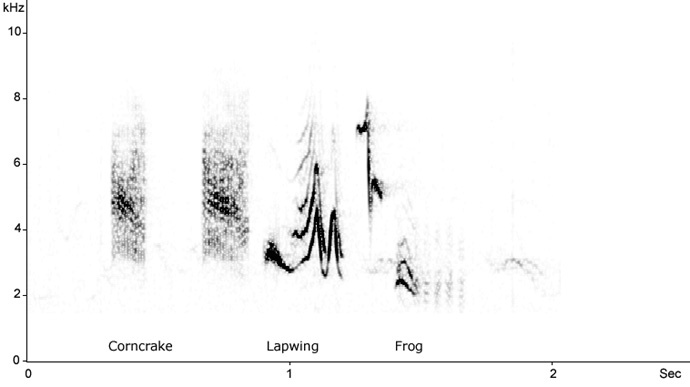 Singing male incorporating multi-species mimicry in a single delivery; two rasps of Corncrake (Crex crex) advertising song followed by territorial vocalisation of a displaying Lapwing (Vanellus vanellus), and almost certainly a frog vocal. 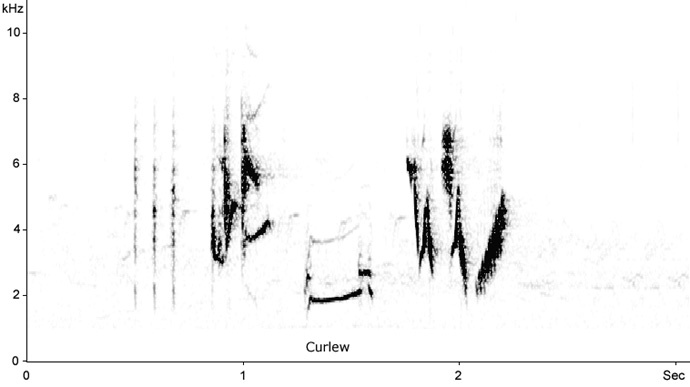 Singing male incorporating wader mimicry; a single strophe consisting of two unrecogisable phrases and the start of Curlew (Numenius arquata) terriorial vocalisation. 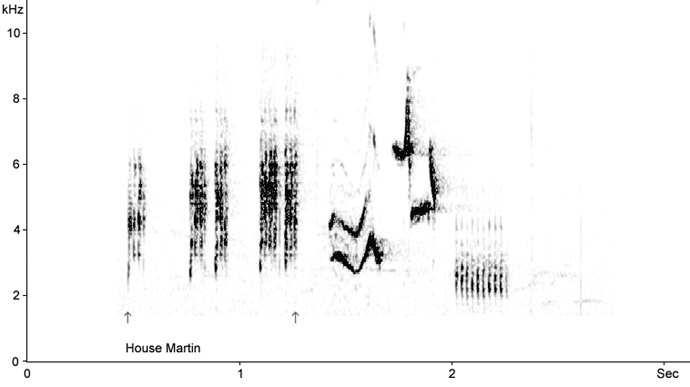 Singing male incorporating hirundine mimicry; a single strophe consisting of the dry chirps of a House Martin (Delichon urbicum) followed by possible Acrocephalus vocalisations. 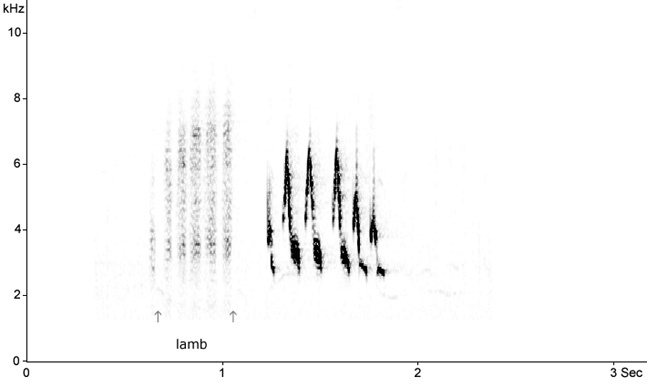 Singing male incorporating mammal mimicry; a single strophe consisting of a representation of a distant lamb, followed by an unknown phrase. 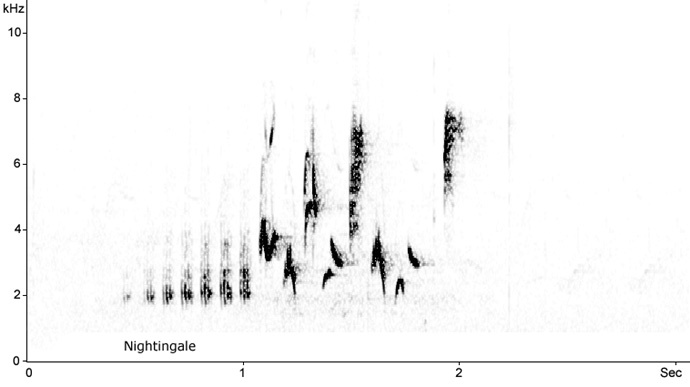 Singing male incorporating thrush mimicry; a single strophe consisting of probable Thrush Nightingale (Luscinia luscinia) (or Common Nightingale L. megarhynchos?) phrases. 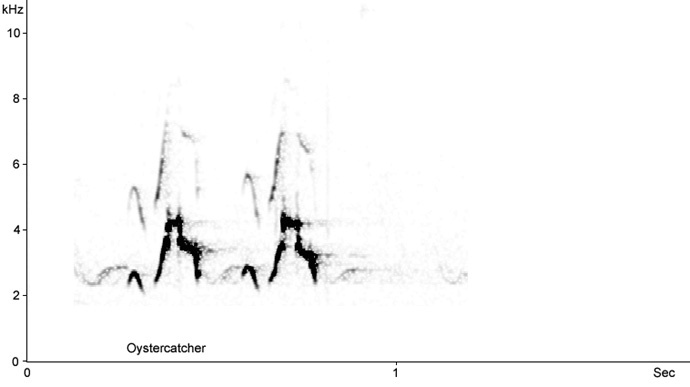 Singing male incorporating wader mimicry; a single strophe consisting of the piping flight call of Oystercatcher (Haematopus ostralegus). 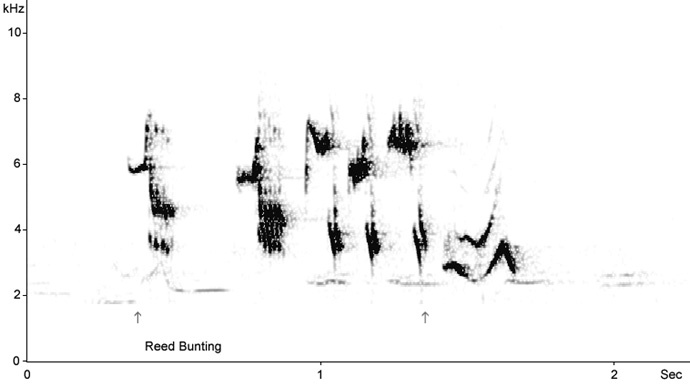 Singing male incorporating bunting mimicry; a single strophe consisting of Reed Bunting (Emberiza schoeniclus) song, followed by an unknown phrase. 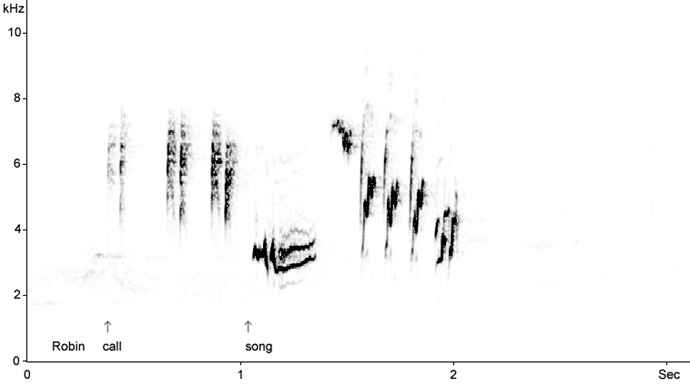 Singing male incorporating thrush mimicry of two vocalisation types from the same species; a single strophe consisting of Robin (Erithacus rubecula) call followed by song phrases. 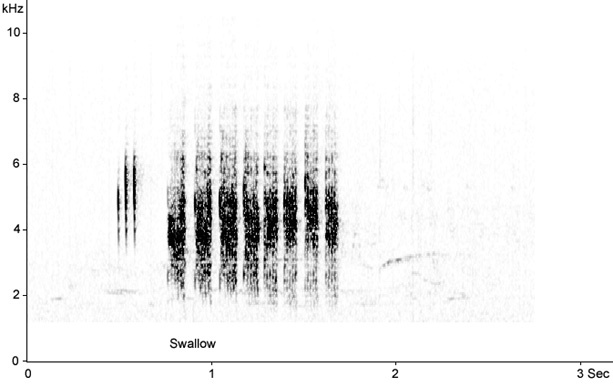 Singing male incorporating hirundine mimicry; a single strophe consisting of the fast, dry flight twitter of Barn Swallow (Hirundo rustica). 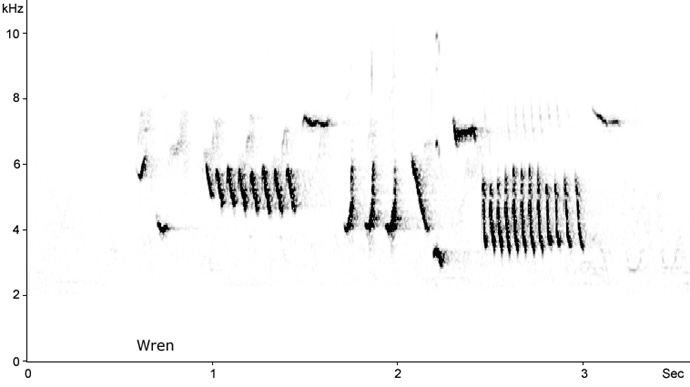 Singing male incorporating warbler mimicry; a single strophe consisting of the first few phrases of Willow Warbler (Phylloscopus trochulis) song. Singing male incorporating Wren (Troglodytes troglodytes) mimicry; a single strophe consisting of various phrases of Wren song. Singing male incorporating Wren (T. troglodytes) mimicry; a single strophe consisting of almost 3 seconds of various phrases of Wren song. Repeated calls consisting of a 'huu' note between 2-3 kHz, often followed by a harder single or double 'chat' note.